After trying WhatsApp’s UPI-based payment feature, we found it really handy and easy to use. But, the service has not been receiving a lot of appreciation from the competition. 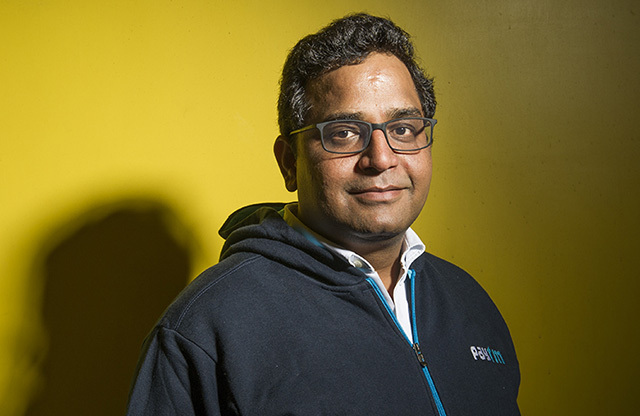 Paytm CEO Vijay Shekhar Sharma, who recently bashed the app’s payment service for its lack of security, has now entered attack mode against WhatsApp and parent company Facebook. “Facebook is the most evil company in the world“, Sharma told Business Standard from Canada. He cited how the company had earlier tried to loot India with hollow promises of free internet and is now ignoring all regulations that a mobile payment app is required to follow. Sharma called for a level-field among competitors and said that the company is trying to “arm-twist” rules to suit itself. Sharma pointed out that payment apps in India require a three-factor authentication mechanism with personal identification – popularly known as KYC – being the third step. WhatsApp, as per Sharma, is playing “cheap tricks” and killing the “open UPI system“. But Sharma’s appeal could be a foul cry because as per NCPI standards a login session is “advised” for apps using UPI payment, but is “not compulsory“. Sharma’s remarks have also been criticized by leaders of several Paytm competitors including Mobikwik and Freecharge. Mobikwik’s co-founder Bipin Preet Singh said that those criticizing WhatsApp’s new features want to maintain a monopoly over the e-wallet and online payments niche in India. All companies threatened by Whatsapp payments are going to tag it as anti national and try to pull it down as it’s hard to win on merit against network effects of Whatsapp. This strategy worked for Patanjali and wonder if it will work for payment companies. Meanwhile, all the companies “threatened” by global players like Facebook will brand the feature “anti-national”, is what Freecharge’s CEO Kunal Shah believes. Other experts, as per Business Standard, have said that WhatsApp Pay is currently in “beta testing” and we should wait before jumping to conclusions. These differences between Paytm and Facebook resulted in WhatsApp’s global Business Head giving up his position from Paytm-parent One97 Communications’ board of directors. While sources close to Facebook have suggested it is ideal to wait until the final version is rolled out, Sharma strongly believes that the company will not be making any changes later. At the same time, Facebook is busy asking its users if it is actually evil, or if it is doing anything good for the world.